Product categories of Low Bed Semi-trailer, we are specialized manufacturers from China, Low Bed Semi-Trailer, Payload Low Bed Semi-Trailer suppliers/factory, wholesale high-quality products of 60 Ton Low Bed Semi-trailer R & D and manufacturing, we have the perfect after-sales service and technical support. Look forward to your cooperation! Low Bed Semi-trailer(Low bed trailer) usually been used to transport kinds of engineering construction machinery and equipment, such as grab low bed trailer, bulldozer low bed trailer, wheel loader low bed trailer, paver low bed trailer, etc. It is an ideal heavy duty equippment transportation vehicle in logestic and many field. 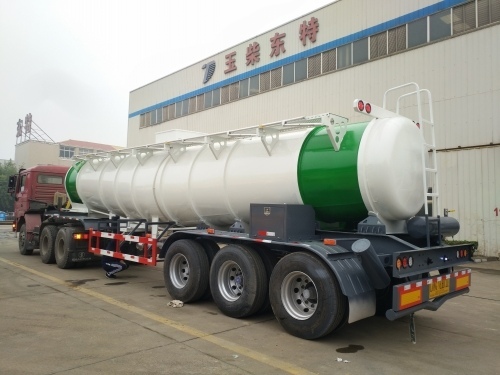 Our company can design and manufacture kinds of low bed trailers, such as 2 axle, 3 axle, 4 axle low bed trailer which loading capacity range from 30-100Tons.